Can these buildings be demolished to make room for a boathouse? A while ago, it seemed the plans for the Hart Perry Boathouse and the Mystic River Boathouse Park were being jinxed? Göran R Buckhorn went to a town meeting to find out more. 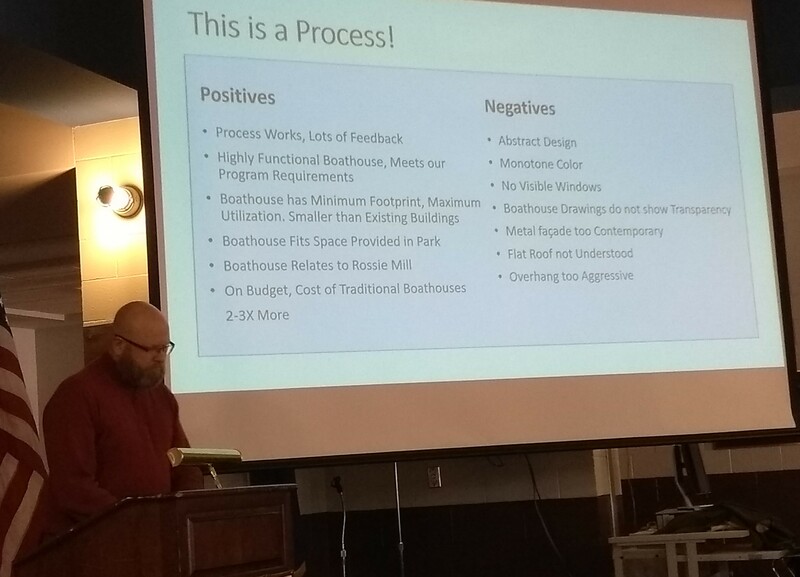 In October, at a meeting that the Mystic River Boathouse Park Implementation Committee had called to present the suggested master plan for the design of the Hart Perry Boathouse and the Mystic River Boathouse Park, the approximately 70 people attending the meeting were in favour of what they seen and heard. However, after the local newspaper The Day wrote an article about the committee’s plans, the design of the boathouse got heavily criticized on social media. The building was ‘ugly’ and not in line what a boathouse should look like in New England, people wrote. The social mediallists demanded another design of the boathouse, one that was not ‘box’ like. The Gateway into Mystic: the proposed Hart Perry Boathouse (on the right) at the Mystic River Boathouse Park opposite the Rossie Mill on Greenmanville Avenue. The mill acted as one of the inspirations for the boathouse design, which was panned by many social mediallists. The Mystic River Boathouse Park Implementation Committee has promised to present other designs to the community. Courtesy of the Mystic River Boathouse Park Implementation Committee. Later in October, Mike O’Neill, director of rowing for the Friends of Stonington Crew and vice chairman of the Mystic River Boathouse Park Implementation Committee, told The Day, ‘We’ll do another forum. We want this to be a community building. We want people to be excited about it in a good way.’ That meeting occurred last Saturday, on 1 December, at Stonington High School. There was a lot to talk about. But before I go into that meeting, let’s recap what more has happened between the first meeting in October and the second meeting in the beginning of December. In late October/beginning of November, Rob Simmons, first selectman of the town of Stonington and the chairman of the Mystic River Boathouse Park Implementation Committee, received a letter from the Mystic River Park Commission, a group that is in charge of Mystic River Park by the bascule bridge in Downtown Mystic. The commission wanted the committee to change the name of the Mystic River Boathouse Park, so that it would not be confused with the Mystic River Park. A new name that floated around was ‘Stonington Boathouse Park’. 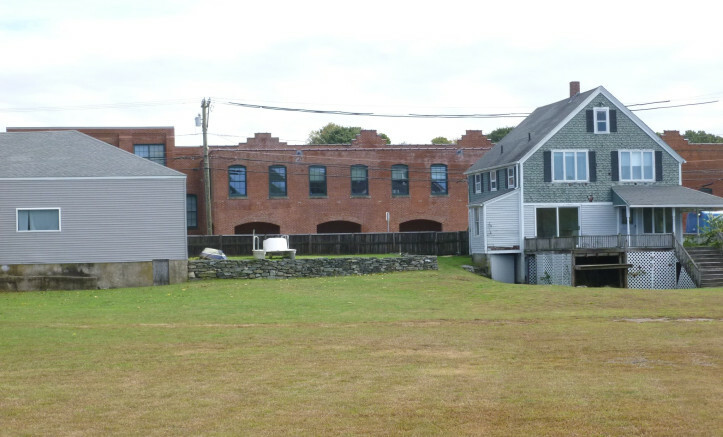 Then in mid-October, David Collins, a columnist at The Day, pointed out that on the property for the new Mystic River Boathouse Park, 123 Greenmanville Avenue, are two old buildings, which could not be demolished as they are ‘contributing structures’ in the so-called Rossie Velvet Mill Historic District. Rob Simmons, when asked by Collins what to do with these two historical buildings, a residence house and an old blacksmith shop for the Velvet Mill across the street, suggested that they could be sold to someone for $1 who would then move them off the site. Collins thought this was a preposterous idea and they should instead be reused by the Stonington High School Crew. 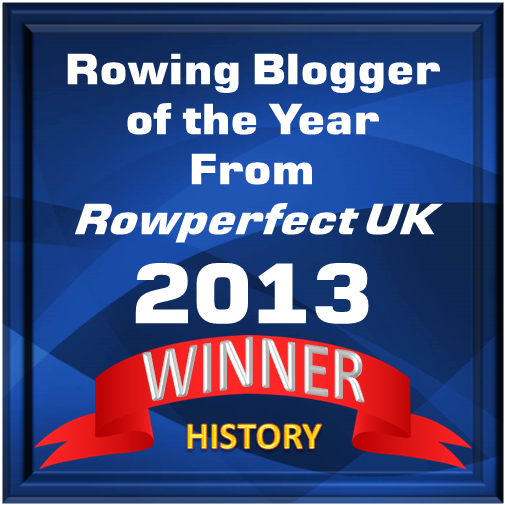 As a matter of fact, the rowers are already using the blacksmith shop as a storage space for their equipment. That the residence building, a tired, old wreck of a house, was not at all suitable for training or even go into, was not on Collins’s agenda. 123 Greenmanville Avenue seen from the Mystic River. A week later, Collins did a U-turn in another column. 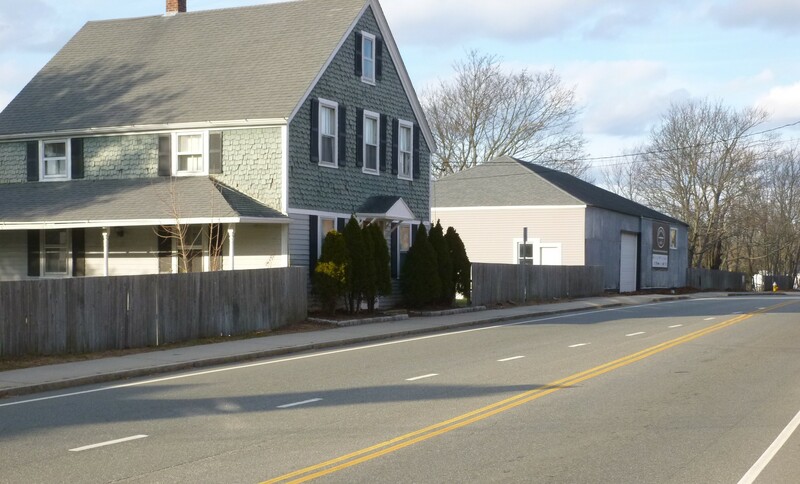 Now, he was concerned that the town of Stonington allowed members of the Stonington High School crew to use the property on 123 Greenmanville Avenue as the ground is polluted with contaminated soils. Not a word was mentioned in Collins’s column about the asbestos-affected residential house that he thought that the high schoolers should use. Then a member of the community decided to draw three suggestions of boathouses in contrast to the one that the Mystic River Boathouse Park Implementation Committee had presented that was created by Anmahian Winton, the Cambridge-area architectural firm, famous for the award-winning Harry Parker Boathouse in Boston. A boathouse which is a marvellous example of simplicity, elegance and functionality. It has been said that up to 600 people have gone to the Stonington Community Forum Facebook page, where the three designs were posted, to vote for which one they liked best! So here we had hundreds of folks voting for three amateurish boathouse designs, created by someone who has no architectural background what so ever, if I understand it right. Well, it proves that the people in the community are deeply involved in the Mystic River Boathouse Park and the Hart Perry Boathouse. Although, I have to confess that I’m surprised that people vote on a boathouse project that is going to be privately financed. While the $2.2 million 1.5-acre park is going to be paid with tax dollars, not a single tax buck is going to be spent building the $2.5 million boathouse. 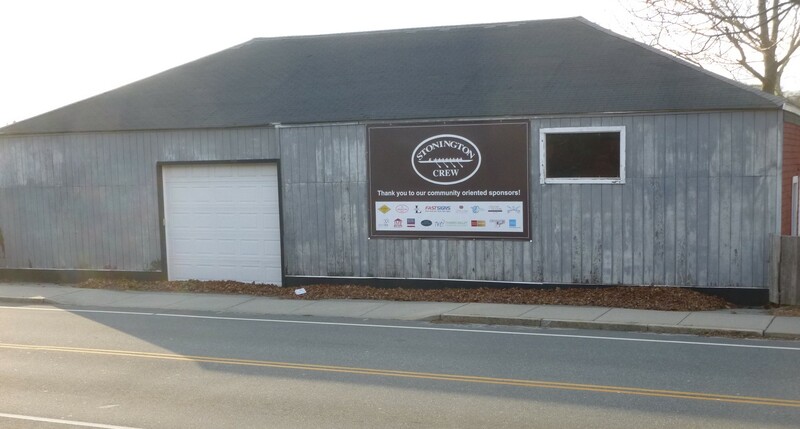 When the boathouse has been built, the town of Stonington is going to buy it for $1, and then allow the Stonington High School crew and members of the community to use the building and the docks. It will be the town’s responsibility to keep up the maintenance in and around the building. More than 100 people had gathered in the Common Room at Stonington High School last Saturday to listen to Stonington town officials and leaders of the Friends of Stonington Crew presenting the master plan for the Mystic River Boathouse Park. During the meeting, Director of Stonington Planning Jason Vincent explained the process of the park and the boathouse. Jason Vincent, director of Stonington Planning, facilitated the meeting and told everyone about the process of the park and the boathouse. Then it was Chad Frost, architect at Kent + Frost Landscape Architecture, turn to talk about the landscape design of the park. He also brought up the environment issues on the site, including the cleaning of debris on the property. The site has been tested twice, and what he presented was a summary of a 400-page environmental report. Frost pointed out that while the soil is polluted with coal slag (from the time the Rossie Velvet Mill was in active operation), it’s not toxic, so there is no danger walking on it. To be a danger to people, ‘you have to touch it for 20 years or eat it,’ Frost said. By putting soil on the coal slag you isolate it from people. Frost mentioned that he is more worried about the glass around the shoreline, which has made it impossible for the high school crews to launch their boats from the property. The debris and glass must be cleaned up. Frost also talked about how the shoreline must be protected from the rising sea levels, using oyster castles. Frost ran a slideshow with historical pictures of the site and the Rossie Mill, highlighting the connection between the property and the mill. It was this ‘connection’ that Alex Anmahian of Anmahian Winton Architects conveyed when he presented the architectural plan for the boathouse at the meeting in early October. Frost said that he also wanted to express the connection between the mill and the park in his design. Regarding the name for the park, he said that it might be related to the Rossie Mill, which I personally think is a brilliant idea. Mike O’Neill, as director of rowing at Stonington High School, gave a good presentation of the rowing programme at the school, including the benefits to students, their families and the community as a whole. There is a great need for the programme to find a space where the 90 rowers can train and meet and where the rowing equipment can be stored in a safe place. The Mystic River Boathouse Park Implementation Committee would like to tear down this old building that used to be a blacksmith shop. Will the State Historic Preservation Office agree? The Stonington High School Crew is now using the building to store equipment. The Architectural firm Anmahian Winton was picked because they understood what was needed. It’s obvious that what is the Stonington High School crew’s vision of a boathouse is not the same as the community’s. And there will be other options presented in the future. ‘The more the community gets behind us and helps us raise money, the nicer that building is going to be,’ said O’Neill. O’Neill also mentioned that it would cost more money to try to restore and fix up the buildings that is now on the site than building a new 8,000-square-foot boathouse. Another major concern for the people gathered at the meeting was the parallel parking on Greenmanville Avenue, which is a busy road during the summer months. While Frost and other planners imagine that the traffic will slow down on the road, voices from the floor believed that the traffic will come to a stop. Despite disagreements, the meeting ended with strong applause. It was clear that those who maybe mistrusted the people working as volunteers with these projects now understand that they have the best in mind for the community – and rightly so. On Monday, 3 December, the master plan for the park was approved by the Mystic River Boathouse Park Implementation Committee, which means that the master plan can go before the Planning and Zoning Commission, however, with the boathouse as a blank space. The committee endorsed the demolishing of the two buildings on the site. However, the town needs approval from the State Historic Preservation Office to bulldoze the structures as they are standing within a historical district. Representatives from the State Historic Preservation Office and the Department of Energy and Environment Protection met with members of the Mystic River Boathouse Park Implementation Committee, but no decision had been announced as this article hit the screen. 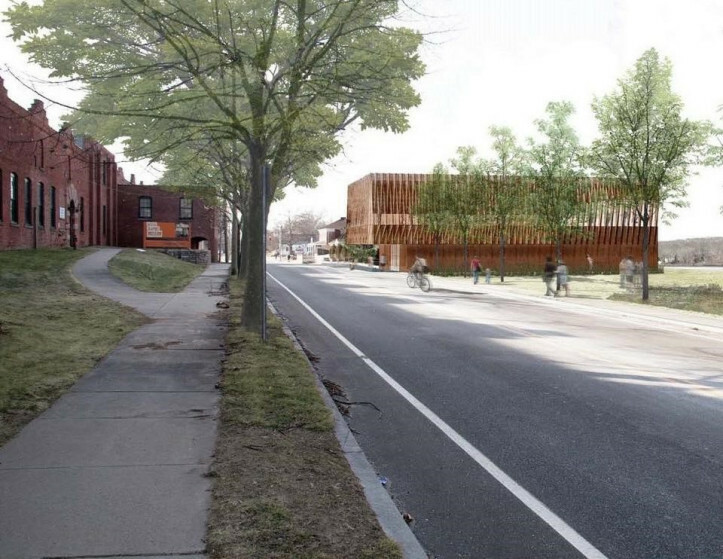 The committee will continue to review design options from Anmahian Winton Architects.